Przezmark lies by the road no 519 between Morąg and Stary Dzierzgoń. 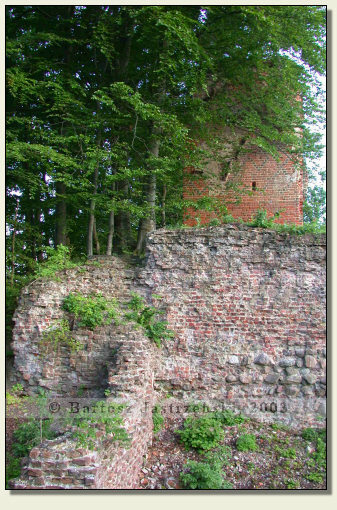 Driving into Przezmark from the side of Morąg, the castle tower can be seen exactly, directly opposite. As to reach it, however, you need to turn into the first street on the left and arrive at the tower. Park there and walk round the tower from the left side (along the lake shore). 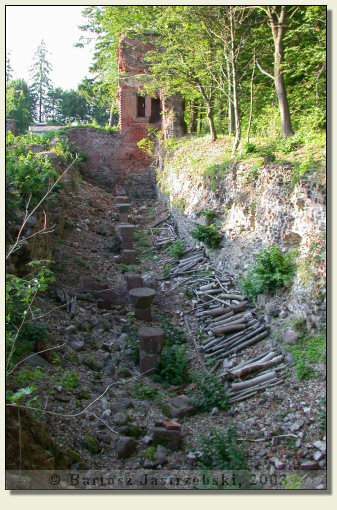 In that way you will reach the ruins, which may be found behind the tower. 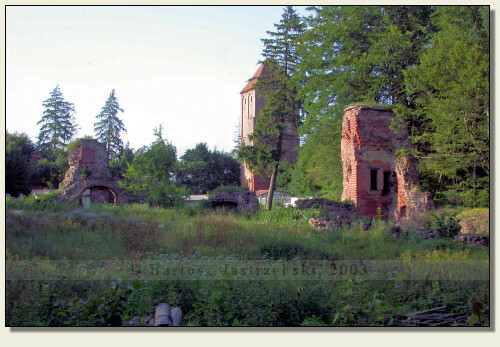 The construction of the castle in Przezmark was started at the beginning of the XIVth cent. and lasted till the middle of century. 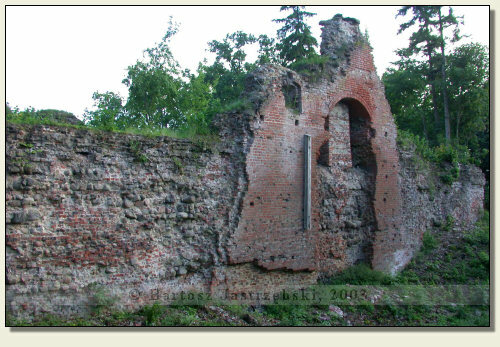 In the next centuries the stronghold was being repeatedly converted because it was adjusted to new functions: the seat of a commune head, a prosecuting attorney and a convent. Since the beginning of the XVIth cent. 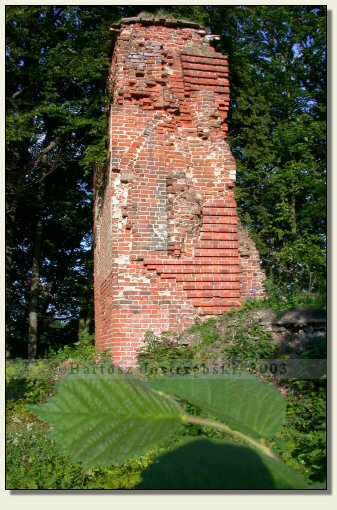 the castle belonged to the bishops of Pomesania as to later come into hands of the families of von Egmon and von Verdte. After the period of the private owners, came the period, in which the stronghold performed the function of the seat of the offices to finally decline and to be disassembled in the XVIIIth cent. 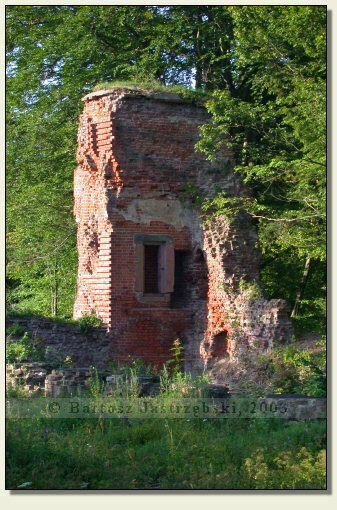 The first of the old names of the castle suggests that before the Teutonic times there existed the Prussian merchant settlement. 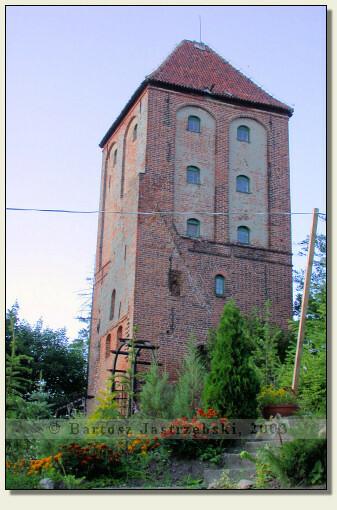 The tower that has survived till our time emerged around 1329 and is called the Prisoner-Of-War Tower.